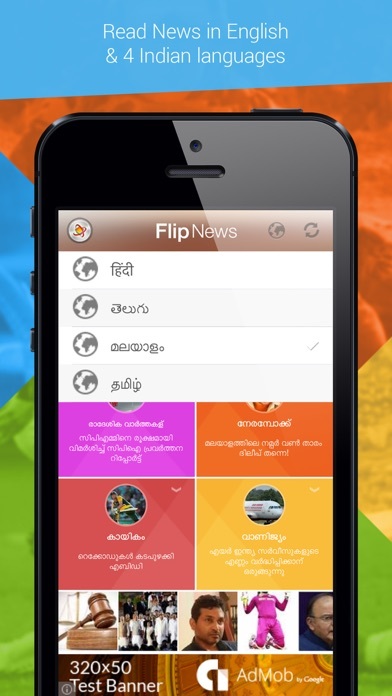 Flip News is a simple yet functional Indian Native Language Newsreader which supports Hindi, Telugu, Tamil & Malayalam. 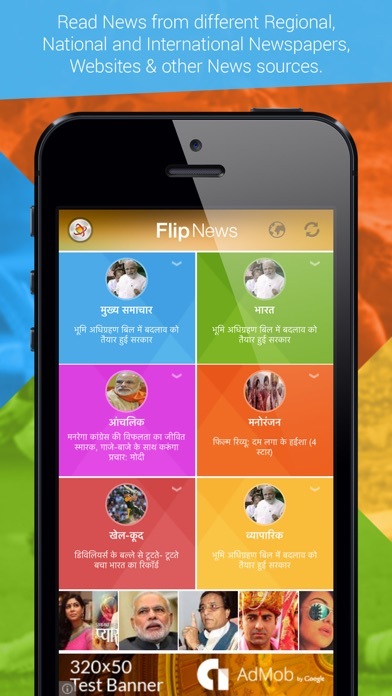 Flip News helps you stay up to date with the latest breaking news in India and around the world. 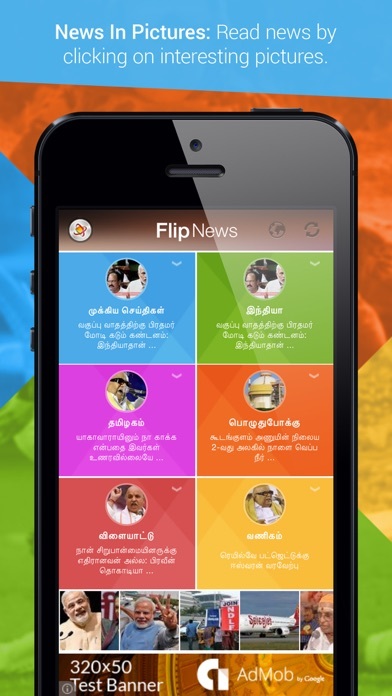 Flip News gets news from a variety of popular news sources and classifies news into major categories such as Politics, Entertainment, Sports etc., Major Functionalities: ▪ Text display in clear and crisp native language font. ▪ News is organised into standard categories. ▪ "News in Pictures" visually shows the news that might be of interest. ▪ Multiple news sources for each news item. ▪ Ability to read full news from different sources without leaving the app. ▪ Highly organised layouts that organises news into easy to read layouts.